It is the Jeddah’s core and historic center and a commercial hub filed with centers such as Corniche Mall, Mahmal souk and Faisaliah Mall. 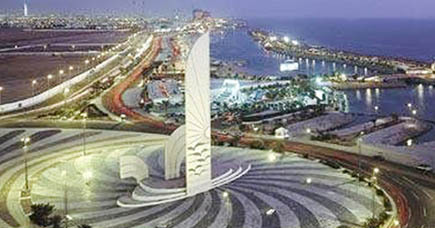 It includes the Bai’ah Square, the Ministry of Foreign Affairs and the National Commercial Bank. Al-Balad is a very important landmark of Jeddah, and definitely worth a visit, as it clearly reflects the customs of early locals with customary dress, displayed goods and traditional dishes. Traditional Hijazi phrases, however, there are additional aesthetic touches that will increase your enjoyment of the trip, and will make you smile every now and then.